Dell has stopped selling Android devices as it steps away from slate-style tablets to focus on Windows 2-in-1 devices. The company isn't refreshing the Venue line of Android tablets, and will no longer offer the Android-based Wyse Cloud Connect, a thumb-size computer that can turn a display into a PC. Other Android devices were discontinued some time ago. "The slate tablet market is over-saturated and is experiencing declining demand from consumers, so we’ve decided to discontinue the Android-based Venue tablet line," a Dell spokesman said in an e-mail. Though Dell has killed its Android devices, it made interesting products with the OS. One was the Venue 8 7000 tablet, which had an OLED screen and a 3D RealSense camera. Meanwhile, 2-in-1s can serve as both tablets and laptops. "We are seeing 2-in-1s rising in popularity since they provide a more optimal blend of PC capabilities with tablet mobility. This is especially true in the commercial space," the Dell spokesman said. Dell won't be offering OS upgrades to Android-based Venue tablets already being used by customers. "For customers who own Android-based Venue products, Dell will continue to support currently active warranty and service contracts until they expire, but we will not be pushing out future OS upgrades," the spokesman said. With Android devices discontinued, Dell now mostly has laptops and 2-in-1s with Windows on its roster, and some Chromebooks as well. Dell's Chromebook 11 3120 and Chromebook 13 7310 -- which run Chrome OS -- will be able to run Android apps through access to the Google Play Store. The Chromebooks won't run the Android OS, however. Dell also sells XPS and Precision laptops with Ubuntu to developers, and thin clients with Linux, Windows Embedded and Wyse's ThinOS operating systems. Dell has a knack for discontinuing Venue products. Dell stopped selling Venue smartphones in 2012, but reintroduced the brand through the tablets. Dell also sells Venue tablets with Windows, though that product hasn't been upgraded in a while and could be on its way out. To be sure, Dell made it clear that it is not closing the door entirely and remains open to supporting Android on devices in the future. But Dell's move away from slate-style tablets is no surprise, said Bob O'Donnell, principal analyst at Technalysis Research. 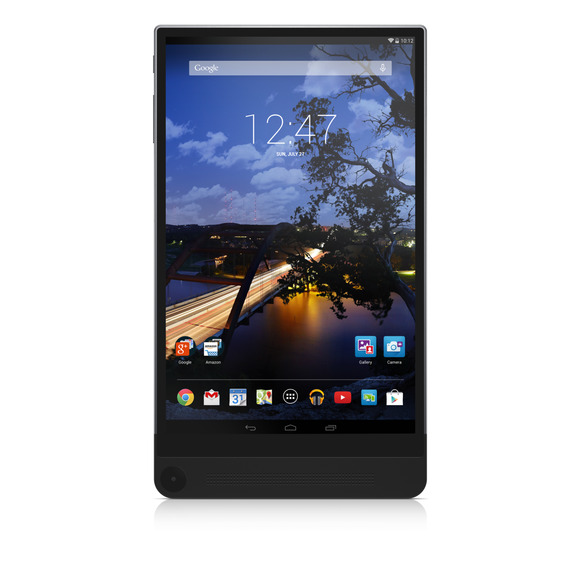 Inexpensive Android tablets are a dime-a-dozen, and it makes sense for Dell not to play in a crowded market, O'Donnell said. HP is also clearing out its lineup of low-cost tablets. It now offers just a handful of Android tablets, mainly for businesses. Meanwhile, Lenovo is offering fewer Android tablets than in previous years, and has expanded its Windows-based, 2-in-1 lineup. Apple was the world's top tablet vendor in the first quarter this year, followed by Android tablet vendors Samsung, Amazon, Lenovo and Huawei, according to IDC. Android tablets were some of the lowest-priced computing products for Dell, which now is focused on selling higher-margin products. In some cases, the Venue Android tablets were bundled for free with laptops. While tablet and PC shipments decline, 2-in-1s are thriving, according to IDC. Buyers are upgrading laptops to 2-in-1s with Windows 10. Shipments are also growing for Chromebooks and gaming PCs. Meanwhile, Dell is in the process of merging with EMC as part of a $67 billion megadeal. To finance the merger, the company has agreed to sell its software group to equity firms Francisco Partners and Elliott Management Corporation for $2 billion, and IT services group Dell Services to NTT Data for $3 billion. Dell also spun-off its SecureWorks unit, which is publicly traded.